The Professional Beauty Association (PBA) is encouraging licensed professionals from hair, barber, nails, and makeup from the U.S., Canada, and Mexico to enter its prestigious photographic competition, the North American Hairstyling Awards (NAHA). Categories include Nail Professional of the Year, which allows nail techs to show off a multitude of skills, such as embellishments, nail art, and salon nails. Entries are accepted online only and must be submitted by 9 p.m. EST (6 p.m. PST) February 10, 2017. PBA created online tools to support applicants and assist them in preparing award-winning collections. > Webinar series: “Deconstructing NAHA | a 3-Part Web Series Featuring Charlie Price” provides a behind-the-scenes look at the creative process from two-time NAHA Hairstylist of the Year winner Charlie Price as he builds a mock NAHA collection from initial concept to final retouching to judging. To register for these webinars, visit www.probeauty.org/deconstructingnaha. > Tips and Tricks List: PBA provides a list of tips for entering the competition, posted at www.probeauty.org/naha and ongoing on PBA’s social media channels. PBA Members (Professionals) can enter for $55 per category ($40 for Student Hairstylist of the Year), and Non-Members (Professionals) can enter for $110 per category ($80 for Student Hairstylist of the Year). NAHA 2017 will take place on Sunday, July 9, 2017, in Las Vegas, during PBA Beauty Week. Visit PBA’s website at www.probeauty.org/naha for more information about the show. 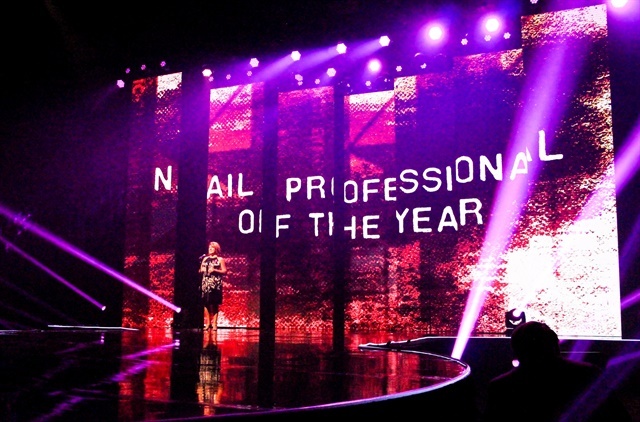 Check out last year’s NAHA nail finalists here.